How can we foster authentic connection, and flourish? The first time I heard it, I was not surprised. “Research shows that having strong social bonds is closely related to increased happiness”, Dacher Keltner, founder of the Greater Good Science Center, told me in a podcast interview. One week later, the same concept was being mentioned again — this time by Australian reslience expert, Stuart Taylor. “The most resilient people have a strong social connection”, he remarked. 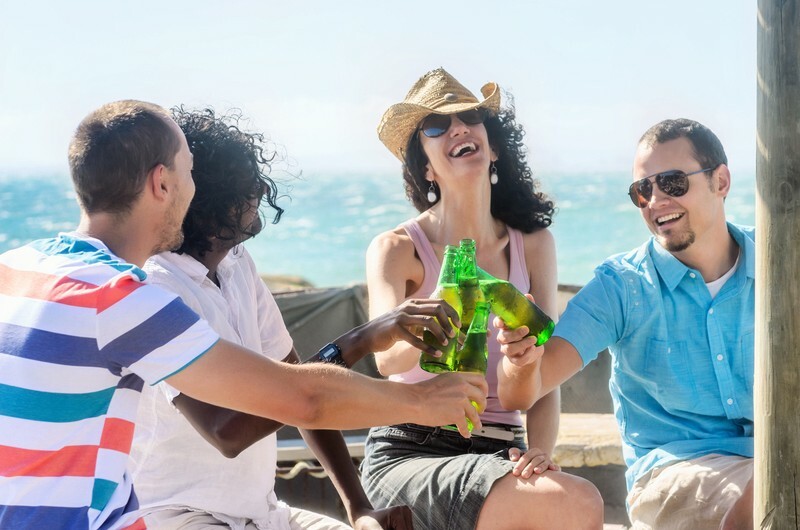 Within weeks, and to my surprise, social connection was back on the table again — this time being suggested by researchers as one of the main components of longevity. So, what is it with social connection? Why does it heal us in profound ways, raise us to greater emotional heights and, quite literally, compel us to live longer? If authentic, vulnerable connection with others is such a powerful force for good, how on earth can we embrace and enhance it in our modern, disconnected lives? One of the main reasons humans have flourished on this planet is because of our cooperative behaviours; our ability to help, support and share new knowledge with each other. We are ‘village’ people, and even the most introverted or isolated among us cannot live a truly fruitful and flourishing life without reaching out in vulnerable moments. Interestingly, research shows that the reverse is also true — the most effective way to foster happiness and inner well-being in ourselves is to open oneself up, make oneself available and be there (be generous, helpful, kind, supportive) for others. Social connection is a vital key to our well-being. And that means we can all benefit from placing emphasis on connecting more deeply, and more frequently, with the people around us. Break the ice: introduce yourself to ‘strangers’ you see often — the couple down the hall, the barista at the local coffee shop, the familiar faces on the morning train. You’re not expected to become friends with these people, but a simple handshake and a “Hey, I see you all the time and feel like I should know your name” can do wonders for creating a more connected community. 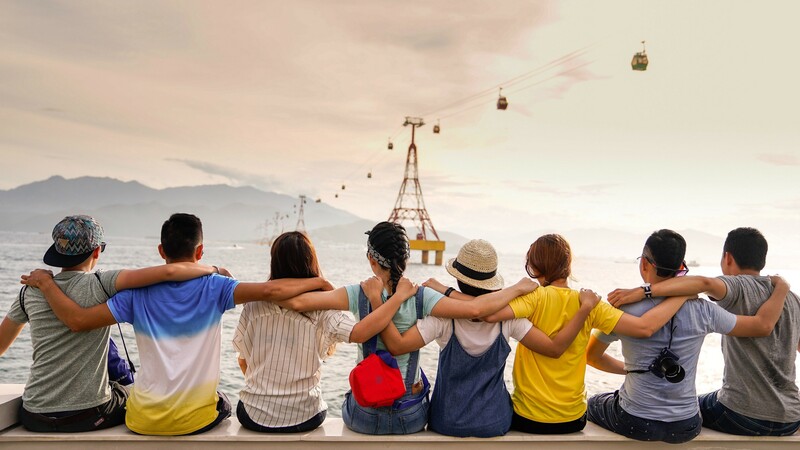 Allow for friendships that feel good (rather than look good): We all have unique reasons for choosing particular friends or seeking out particular social groups. However, if your social choices are purely based on who is most connected, most cool or most useful to you, you may struggle in times of vulnerability. Allow yourself to (also) build and foster authentic friendships — people who may not offer you all you desire on a material level, but that lift you, inspire you and leave you feeling good about yourself. Prioritise social connection in your schedule: It doesn’t matter how busy we get, we always benefit from finding time for the things that we value most. Set aside time each day, week, month (depending on your personal circumstances) to catch up with authentic friends. Sharing meals is a powerful way to connect so if your days are super demanding, share some of your breakfasts, lunches or dinners with your most valued friends and family. Aim to be a safe space for others: We’re all human and, therefore, we all have the capacity to judge, criticise, gossip and demean. However, in order to foster greater social connection, it’s imperative we try to rise above unhelpful and unhealthy behaviors and habits. Become aware of how you react to others in need. Aim to be less judgmental, more understanding; less critical, more helpful; less aloof, more engaged. Healthy social connectedness is a team sport and creating an environment where we all thrive, starts with you. Practice vulnerability and help-seeking: In the developed world, in particular, we have come to view vulnerability and help-seeking as a weakness. We have come to regard self-sufficiency as the single greatest factor of success, and we have forgotten that the human experience is often defined, not by how hard someone persevered and toiled, but by their personal luck or providence. Needing help is not a weakness; it is an inevitable by-product of a fickle human existence. Learn to open up when you are in those inevitable and understandable moments of need. Reach out to those you trust most and allow those who wish to help, an opportunity to do so. Philosophers have long contemplated why we chose, as a species, to live in communities. Why form social groups when we can easily sustain ourselves alone? The answer, some maintain, is simply because we cannot imagine living without social connection; we cannot flourish as individuals without supporting each other through life’s troubles. Our modern lives may have removed many of us from that lynchpin of human connection — the village — but the opportunity still remains for us to open up, reach out, connect authentically … and thrive in each others’ spaces. Kim Forrester is a mother, nature lover, global traveller, holistic wellbeing advocate and kindness enthusiast. As an award-winning author, educator and intuitive consultant, she combines cutting edge science with spiritual philosophy to inspire holistic wellbeing and fullness of living. Check out Kim’s podcast, Eudaemonia, to learn more about how to flourish in life.